But there's a catch: many agencies would rather pay freelancers they know and trust. Need a quick solution for a design ask? Lacking expertise in an industry vertical? Need an infographic produced on a tight timeline and budget? A new generation of online marketplaces for freelancers are reporting increased demand and activity in PR-related requests. These platforms include the likes of Fiverr, Upwork, and Toptal. They are attracting employers or "buyers" with detailed listings of freelancers, including bios and portfolios, rates, and even buyer ratings and reviews. Fiverr has a database of professionals in eight major verticals: graphics and design, digital marketing, writing and translation, video and animation, and fun and lifestyle. Its subcategories indicate a spike in the total dollar amount spent on PR-related requests on Fiverr. In January, the amount of orders completed in the "articles and blog posts subcategory increased by 41% from the year prior and 101% versus January 2016. Orders for press release services also rose, by 51% and 135%, respectively, during those same time comparisons. Meanwhile, transaction amounts for infographics rose 42% in January over the same month in 2017. It was also up 72.5% versus May 2016, when Fiverr first launched the category. "It broadly illustrates how more businesses are turning to solutions like Fiverr to create these kinds of PR-related solutions," says Sam Katzen, Fiverr PR director. He says those businesses include communications firms of varying sizes. "Sometimes agencies have huge spikes in workload because of a rash of new business, a pitch, or just employees moving on," adds Katzen, who previously worked at MSL. "We enable them to spin up just not on expertise, but human capital on a per-project basis without having to go through some of the processes that exist in bringing on new team members." Upwork, another freelancer-hiring website, is the outcome of a merger between elance and oDesk. About $1.5 billion worth of completed work is done via its platform every year. Shoshana Deutschkron, Upwork’s VP of communications and brand, says demand for marketing and creative skills – including in social media, brand strategy, content writing, and influencer marketing – is hot. Job posts for these skills increased on Upwork in the fourth quarter of 2017 by between 60% and 80% versus Q4 2016. Web, mobile, and software development represents about half of all transactions on Upwork, followed by advertising, sales, and digital marketing; graphic design and content production; translation, localization, and writing; and administrative and customer support. Platforms such as Upwork tout benefits such as faster time to hire and less paperwork and bureaucracy than bringing on someone on contract or salary. However, they argue the biggest attraction is accessing talented professionals who only want to work freelance. Upwork estimated 57.3 million people freelanced in 2017. That represents about 36% of the workforce. Its Freelancing in America study also found that if growth holds steady, more than half of the U.S. workforce will freelance by 2027. 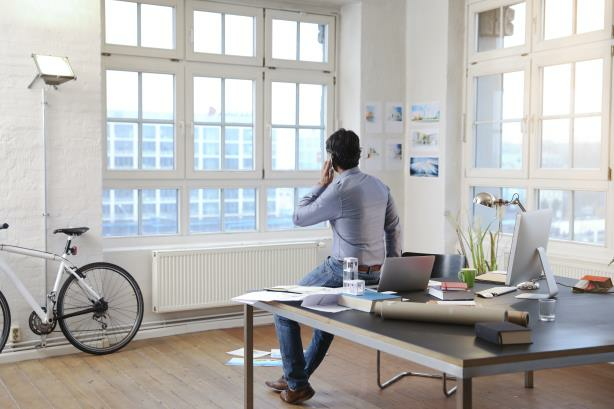 It also found millennials have a 50% participation rate in the freelance economy. Deutschkron says 28% of the Fortune 500 use Upwork. However, she declined to give names due to non-disclosure agreements. PRWeek has has learned that at least one large agency uses a freelance service to supplement its services, but the shop declined to talk about it on the record. Audrey Ponzio, founding partner and CEO of APC Collective, says many agencies, big and small, tap outside support for needed skills and bench strength. She says it is a sound strategy, given no place will always have the best solution in-house. "APC Collective was built with impact in mind and the notion that no four walls could house every client solution, even if they claim to. Clients appreciate the honest approach of bringing together the best minds needed to get the job done. It's operation client solutions, sans ego," she explains. "That said, there is a ton of incredible consultants, and while we mostly work with our vetted partners and solvers, we're open to new talent and ideas no matter where they come from." Belle Communications, a digital PR agency in Columbus, Ohio, has searched for freelance pros on Upwork. "But where we have the most success is via LinkedIn," says agency founder and CEO Kate Finley. "Last summer, we were ramping up for a client event in New York City, and we needed someone to be boots-on-the-ground connecting with media at food trade shows," she adds. "We searched LinkedIn for freelancers using specific keywords related to the type of media relations experience we were looking for and sent messages. Within one day, we had a referral from one of the freelancers to someone in her network, whom we ended up bringing on to support the campaign." However, many shops prefer to rely on their own networks of trusted contributors instead of new freelance talent found via freelance network. "We have our own network of independent contractors we lean on, mostly for content studio assignments when we need a writer with specialized domain knowledge in a pinch," says Bateman Group CEO Fred Bateman. "Most agencies by the time they hit mid-size have connections into the world of PR contractors." "I would also worry about using someone without assurances about the quality of their skills, so I prefer to add to our network via word of mouth referral from people I trust," adds Bateman. Freelance marketplaces understand trust is a hurdle for first-time users, which is why they feature buyer reviews and ratings and try to be as transparent as possible. On Upwork, clients can see the dollar amount the freelancer has earned from past projects and on jobs in progress from its platform. Last June, Fiverr launched Fiverr Pro, an invite-only list of its very top freelancers based on their merits and completed project history. Meanwhile, Toptal, another freelance services platform, accepts only 3% of freelancers who apply to join its network of software developers, designers, and finance experts. Its clients include Airbnb, JPMorgan Chase, and Pfizer. Still, Hunter Public Relations CEO Grace Leong contends it’s hard to beat a referral from a personal contract. "Working with a third-party platform can probably help in some instances, such as when you need to scale up quickly or you have work that is more of an administrative, data mining, or clerical nature, however we rely on our own custom network of freelancers – many of whom are former Hunters – who have set up their own consultancies," she says.